Discount Camo Headliners, Vinyls and More! 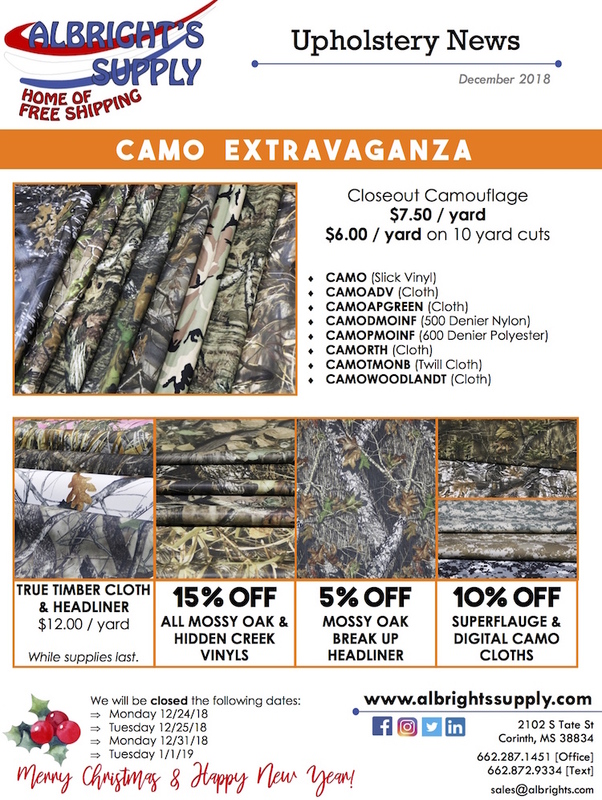 The Albright’s Supply “Camo Extravaganza” is back! If you trim lots of trucks, off-road vehicles and other rugged rides in camouflage prints, now is the time to stock up. Throughout December, Albright’s Supply is selling select camo patterns at closeout prices: $7.50 per yard or $6.00 per yard if you buy a 10-yard cut. That includes vinyl, cloth, polyester, nylon and twill! That’s not all! Albright’s Supply is also selling True Timber cloth and headliner fabric for $12.00 per yard. They’re also offering huge discounts on the most popular patterns: Take 15% off Mossy Oak and Hidden Creek vinyls, 10% off Superflauge and Digital Camo cloths, and 5% off Mossy Oak Break Up headliner fabric. 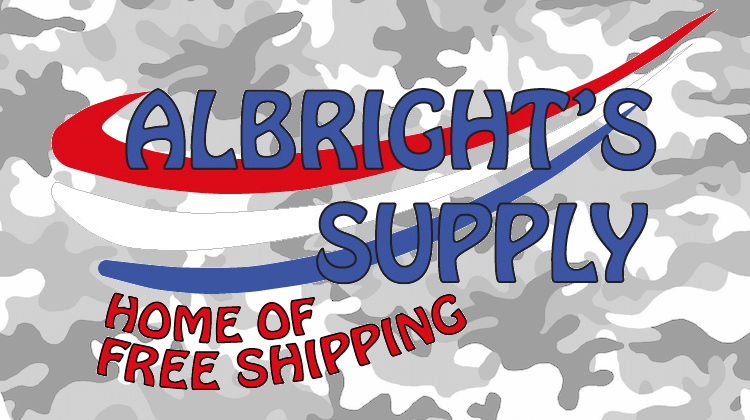 Without a doubt, Albright’s Supply carries the perfect camo pattern for your environment. Take advantage of these awesome deals before the sale ends!